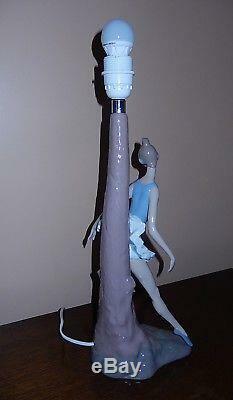 NAO/LLADRO, Beautiful Ballerina Lamp Stand, Large piece, VERY RARE. Perfect condition, no repairs, chips or damage. Shade not included but please see last photograph to see how beautiful it looks. You can add a shade of your choice. Size 51cm high x 18cm wide x 13 deep. Handmade porcelain is from Lladro/Nao. Hand crafted by artisans in Valencia Spain from fine porcelain. Hand painted in delicate pastel shades and kiln fired for more than 20 hours to achieve a flawless final glaze. Nao/Lladro porcelain sculpture will be treasured for generations to come. What a great item to own. From a smoke & pet free home. Please study the quality photos for actual details. Personal cheques must be cleared prior to releasing of the item. 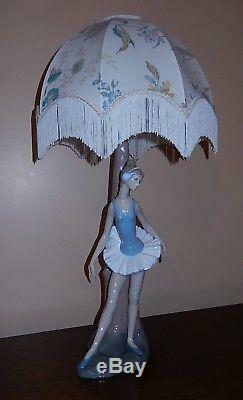 The item "NAO/LLADRO, Beautiful Ballerina Lamp Stand, Large piece, VERY RARE, Stunning" is in sale since Monday, December 17, 2018. This item is in the category "Pottery, Porcelain & Glass\Porcelain/China\Lladro/ Nao\Figures". 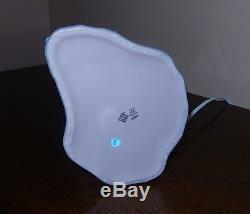 The seller is "etypefund" and is located in Stockton on Tees, Cleveland. This item can be shipped worldwide.